Cambridge: Harvard University Press, 1986. hardcover in dust jacket., no flaws, clean, no writing or markings, tight binding. ; 177pp., 36 color plates, 55 b/w figures., comprised of the charles eliot norton lectures 1983-84 delivered by frank stella.. Second Printing. Hard Cover. Near Fine/Near Fine. 4to - over 9¾" - 12" tall. 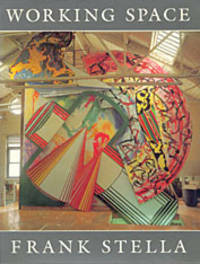 Keywords: Charles Eliot Norton Lectures of Frank Stella. ; Frank Stella.